You missed one! Hill Top Berry Farm and Winery was the 51st farm winery established in Virginia. Although we don’t currently have the word “meadery” in our name, we make a variety of meads (we have 16 TTB approved mead recipes). Our tasting room is open to the public year round and we participate in wine festivals all across Virginia. I might be wrong but I honestly thought we were the oldest Virginia meadery producing the broadest variety of meads, everything from traditional mead to unique melomels, metheglns, pyment, cyser and even capsicumel. We have recently even started distributing in China on a small scale. 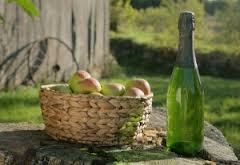 We also make 12 fruit wines and although we do grow grapes, we only use them in pyment. We have always just gone by the name Hill Top Berry Farm and Winery since we first were a pick your own berry farm before becoming a farm winery. I have been considering using an operating as name, such as Hill Top Meadery but I just haven’t done it yet. Regardless, we took a different path than traditional wines a long time ago when we first opened in 1998. Our meads have won local and international medals, including Medals from The Mazer Cup International Mead Competition. We are a member of the American Mead Makers Association and are listed on the website of meaderies in the United States http://www.Gotmead.com. A few years ago, I wrote an article for the online magazine, Virginia Wine Lover about mead and where to find it in Virginia. At that time, I was only aware of three Virginia Meaderies, Hill Top, Smokehouse and Blacksnake with Smokehouse being the oldest but it is my understanding that Smokehouse has gone out of business. I was surprised to find a listing today for Misty Mountain Meadworks in which they were claiming to be the oldest Virginia Meadery. If that is true, I missed them in the article I wrote. Hi Kimberly, and thanks for letting me know about your winery and its offerings. I essentially was highlighting those new listings in the 2013 Virginia Wine Guide, and unfortunately, your winery was not listed there. Perhaps you get on the list for next year through the Virginia Wine Board. I’m glad to know more about you, and have always enjoyed your berry wines. I’ll keep you in mind for future articles.